Leading Manufacturer of combine dressing pad/gamjee pad from Mumbai. Our company is dedicatedly engaged in offering a wide assortment of Combine Dressing Pad to our esteemed clients. These are manufactured using best quality raw material and sophisticated following the guidelines predefined parameters. 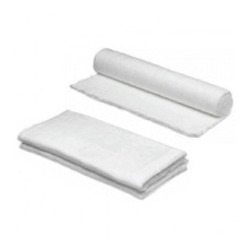 The non woven facing and highly absorbent cotton filler having rayon fabric allow liquid to diffuse throughout the combine pad. We are offering this entire range at affordable prices. Looking for Combine Dressing Pad ?